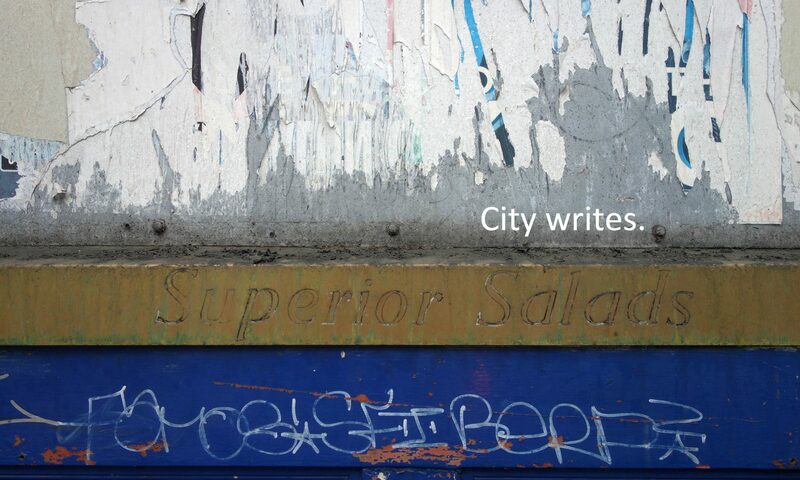 The stories of graffiti and street art are as much tales of regulation as they are of production. This proposal may not sit well with writers and artists, as it argues they have little autonomy in the interpretation of their practice, and reduces the sovereignty of their expression. Instead, my argument accounts for the evolution of wall marking practices through the people and institutions activating, writing and opinionating around the actual stuff on walls: local governments legislating against it, art organisations appropriating its grammar, or publishers turning it into coffee table literature. This research is part of the same process of reformation of graffiti, street art, murals etc – as were all the papers, talks and presentations that led to it and those that will follow it, alongside the institutions that supported them. Graffiti and street art cultures are often affected by negotiations between legislators, curators, book authors, city surface managers and tour operators, who strongly influence the movement and its spatial distribution. This happens either by enabling or trying to suppress wall writing practices, or by selecting aspects to conveniently emphasise or salvage. Terminological contentions have existed since the formation of modern wall writing, and the best way to understand them is to find the organisations who have benefited from implementing new concepts. Police and local governments constructed ‘graffiti’, mainstream publishers and websites promoted ‘street art’, galleries represented ‘urban art’, and now we are back to local governments endorsing ‘muralism’ and celebrating the practice.